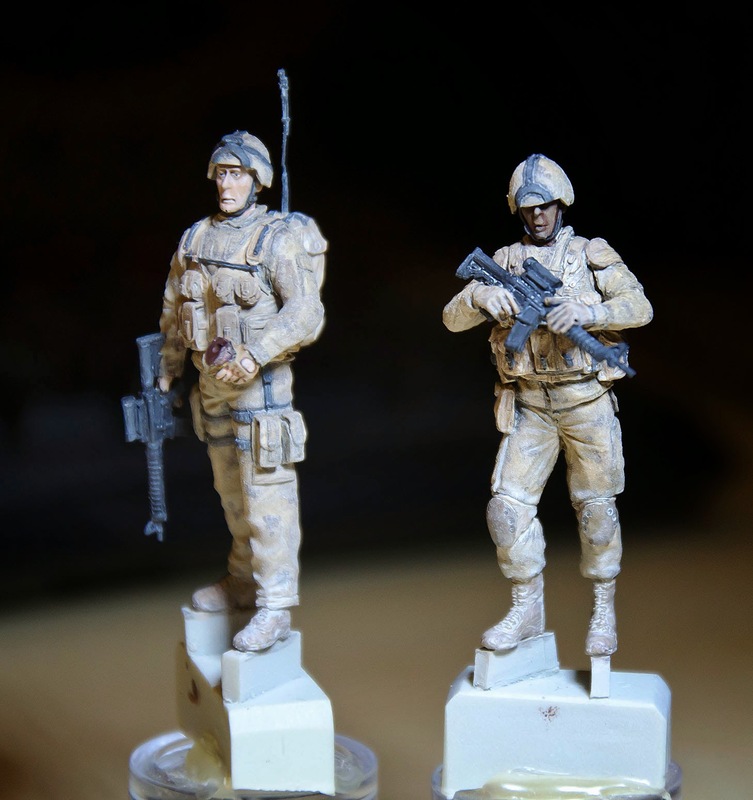 You would think that with all the time I spend painting little figures, and ones much smaller than 1/35, that the soldiers I got to put in my LAV-III diorama would have been the easy part. And they were fairly easy to do, but I'm not all that happy with the result. I had a lot of trouble with the camo, and even after redoing it several times, I think it looks like crap. 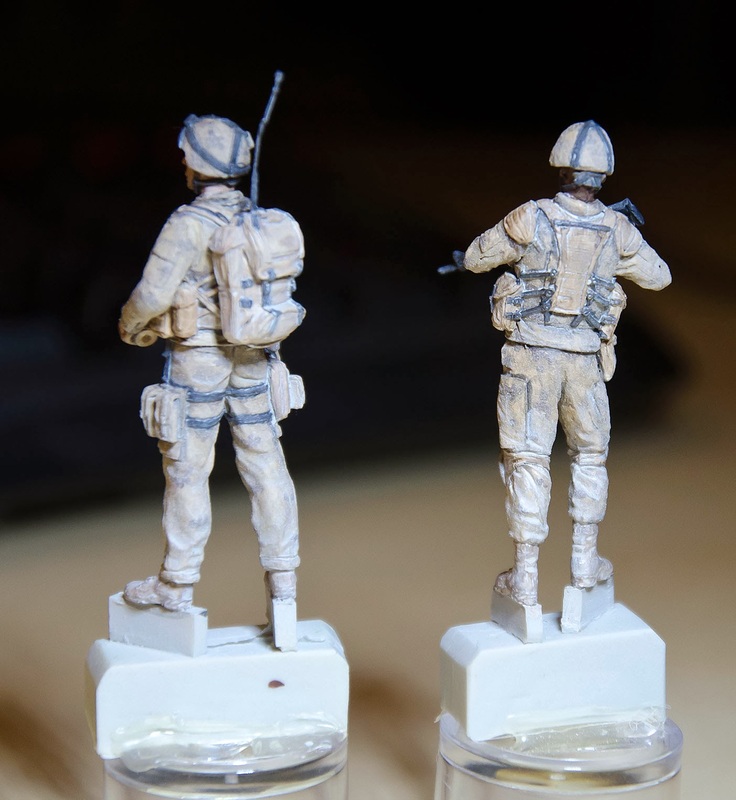 Then, when it came to the detailing, I tried to get away without blacklining everything, which is my usual method for wargame miniatures, because while the result is flashy, I don't think it's very realistic. The figures look so drab without any blacklining, though, that I had to add some in, but then I think it looks bad in another way. All that said, I think they are good enough for me to stop working on them finally. I now have all the parts, I just need to build the diorama base, which is something I'm actually looking forward to!